Earlier this month, FCA laid out a grand plan for each division with Lancia curiously missing from the big announcement. Now we know what's happening to the beleaguered brand: It'll be whittled down to one, lonely model — the Ypsilon — by 2016, sold only in Italy. Lancia lost its way™ years ago, but the twist of the knife for fans of the once-celebrated brand came when Fiat CEO Sergio Marchionne began rebadging Chryslers as Lancia models in 2011. Now, according to a source talking to Bloomberg, Marchionne won't even be doing that. FCA plans to pull Lancia out of all of its current export markets in Europe and Asia and end sales of the Delta compact. The Flavia is dead, not becoming a rebadged version of the new 200. Since we know the Grand Caravan is on the way out and the Town & Country gets a major redesign, the Lancia Voyager dies, too. And the Lancia Thema is killed, not taking a new form when the redesigned 300 is revealed this year. So why keep the Ypsilon? It's one of Italy's best-selling cars and Marchionne doesn't appear ready to pull the plug on Lancia just yet. 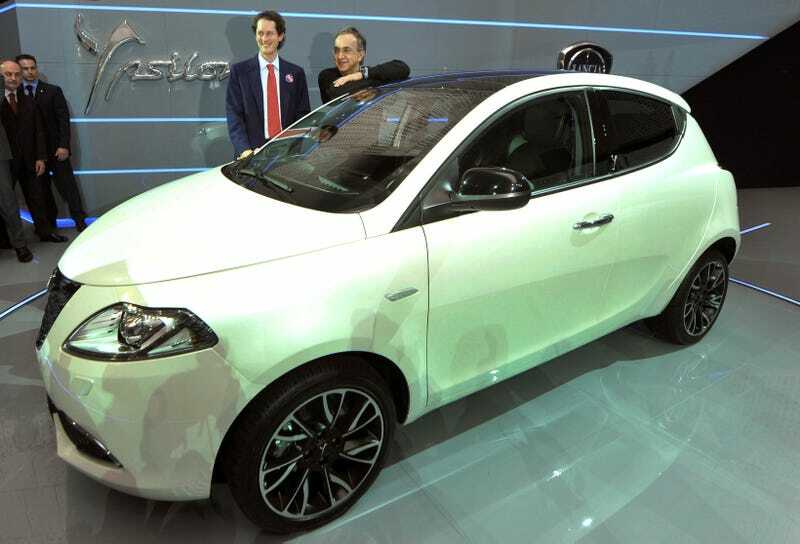 By 2016, Lancia will consist of just the no-frills 12,650-euro Ypsilon subcompact, said a person familiar with the plan. Sales of the 23,890-euro Delta — the only other model built exclusively for Lancia — will end this year and the Voyager minivan next year, as Chrysler stops re-badging models for the brand, said the person, who asked not to be identified because the moves haven't been officially announced. The Italian carmaker intends to invest in restyling the Ypsilon next year as the model has been one of the bestsellers in Italy over the past decade. Fiat declined to comment. A sad end to a storied brand.